Part I of the V Part Series,Why Gold? Almost no debate, short of religion and politics, will solicit as strong of views as the topic of gold. While many in the mainstream investment community dismiss gold as an outdated and irrelevant, we strongly believe that gold’s re-emergence in the minds of investors is just beginning. The grim lessons of history suggest to us that when countries consistently outspend their means and print money to fill in the shortfalls, they risk a crisis of confidence in their currency system itself. 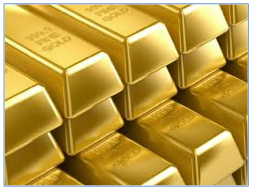 Throughout history, investors have turned to gold as a store of value in times of turmoil to protect their wealth from the inflation caused by declining paper currency values. Precious metals, both gold and silver, were the anchor of our monetary system for most of human history, keeping money stable and inflation subdued other than during brief periods of war and in instances where countries strayed from precious metals backing their currencies. Empires such as the Roman Empire originally transitioned from bartering physical goods to trading gold and silver coins. However, safely storing excess savings of coins poised a problem. By Medieval Europe, it became common for those with gold and silver savings to store them in the safekeeping of a goldsmith, who was in the trade and offered secured vaults. People would get paper receipts redeemable for their gold at any time. This began the movement toward paper as the medium of exchange. By the 17th century, it was common for governments themselves to issue paper currency directly and hold gold in their own vaults to back its value, replacing the role of the goldsmith. Each step along this evolution, the end user became more and more separated from the precious metals that they once directly owned. However, in all of these iterations, people trusted that paper currencies would retain their value due to their backing of gold. This “gold standard” also restricted the ability for bankers and politicians to print money without having the actual gold in vaults to back its value. This system was the anchor of our modern global economy until 1933, which marked the beginning of the end for stable money. In the midst of the Great Depression, President Roosevelt confiscated gold from citizens and devalued the US dollar, breaking the long history of stable money. Following World War II, the US dollar became the world’s reserve currency or chosen international currency. In simple terms, this happened because we won the war and set the rules under the Bretton Woods agreement. Under this quasi-gold standard system, dollars were used for trade, but foreign governments could demand their gold by redeeming dollars at any time. But what 1933 began, 1971 finished. In a speech that will one day be viewed as a critical moment in the history of money, President Nixon removed the final constraint to open-ended money printing by disallowing even foreign governments from redeeming their dollars for gold. This represented the final break of currency from its historic backing to gold. Despite claims that this would not lead to a devaluation of the dollar, the dollar lost over 95% of its value versus gold since that day! To view Nixon’s speech and learn more about gold’s history, view our featured video: Gold, Government and a Game Plan at www.windrockwealth.com. Many do not realize that our current currency regime of fiat money (i.e. not exchangeable for gold) only dates back to 1971, and thus, is largely untested. Separating our currency from gold led to a massive distortion in trade since that time. Under the historic gold standard, a country’s trade was limited to the amount of gold they had saved as a means to purchase goods from other countries. When they consumed (or imported) more relative to what they produced (or exported), their gold ran low and they had no choice but to start producing more than they consumed to rebuild their stock of gold. This mechanism kept world trade in balance and prohibited countries from consuming beyond to their means. With this gold anchor gone, countries like the US were allowed to consume well beyond their means. The US imported much more than they exported by giving the world I.O.U.s in the form of US dollars, well exceeding the amount of gold they could have exchanged for those goods. In other words, under a gold-standard the spending spree of US consumers would have run dry years ago as our vaults of gold went empty! However, as long as the rest of the world accepted these I.O.U.s instead of gold, it led to global trade on steroids. The US could consume beyond its means and other countries could sell more of their goods to hungry US consumers. However, this arrangement was not without consequences. The debt-fueled growth has led to swelling debt levels and dangerous imbalances in world trade that cannot persist. Investors’ faith in the system has been waning as the separation from gold has led to a worry about the future value of currencies. In addition, the massive overspending by the US and other developed nations has led to unprecedented debt levels and a worry about its impacts on the global banking system. Today’s global banking system is already highly leveraged by design under a fractional-reserve system. This means that banks only keep a small fraction of depositors’ money on hand, lending the rest out. For every $100 deposited, the bank may only have $10 on hand. Thus, if more than 10% of customers demanded their money, the bank would not be able to deliver. In addition to the leverage inherent in fractional-reserve banking, banks have further leveraged their balance sheets by making dangerous bets in financial markets. A growing moral hazard mentality has polluted banking given that their bad bets are bailed out by the taxpaying public, but their gains accrue to the benefit of bank executives and shareholders. Banks have transitioned from being traditional lenders to opaque Wall Street trading firms. Some reports suggest that JP Morgan alone has exposure to financial derivatives exceeding the entire world gross domestic product! In short, our banks are a faith-based system. The bank runs in the Great Depression and the near-bank run of 2008 highlight the weakness in this system. Given these realties today, the global banking system remains fragile and subject to governments confiscating the wealth of depositors as the European Union has done in Cyprus. History suggests that investors seek the safe haven of precious metals – both silver and gold – when their trust in the system falters and the security of the banking system comes into question. Despite a pause in concerns over the banking system for the moment, the forces of continued money printing and reckless overspending suggest to us that the dangers of 2008 are not behind us. As investors contemplate the likely end-game of multiplying government debts, continued overspending and unbridled money creation, we think they will increasingly turn to gold.